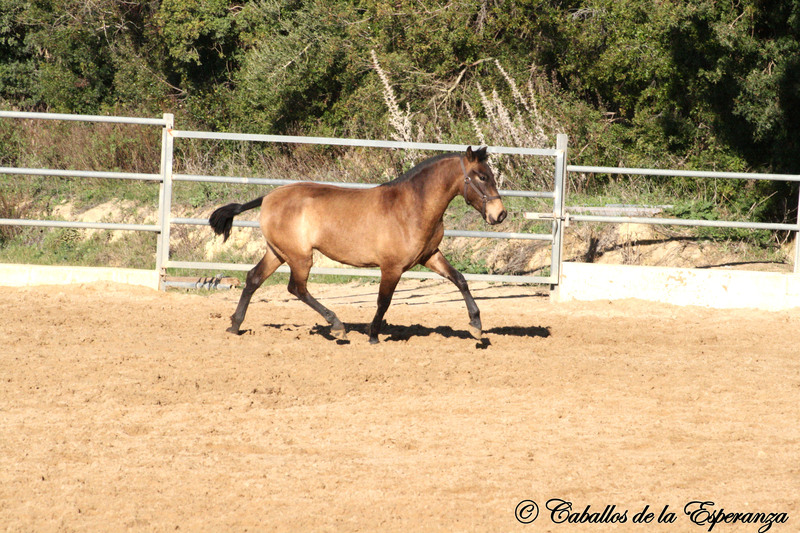 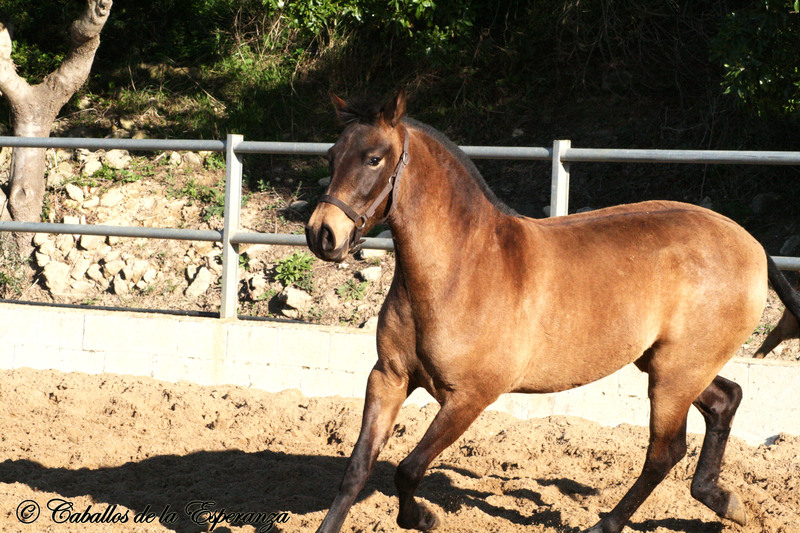 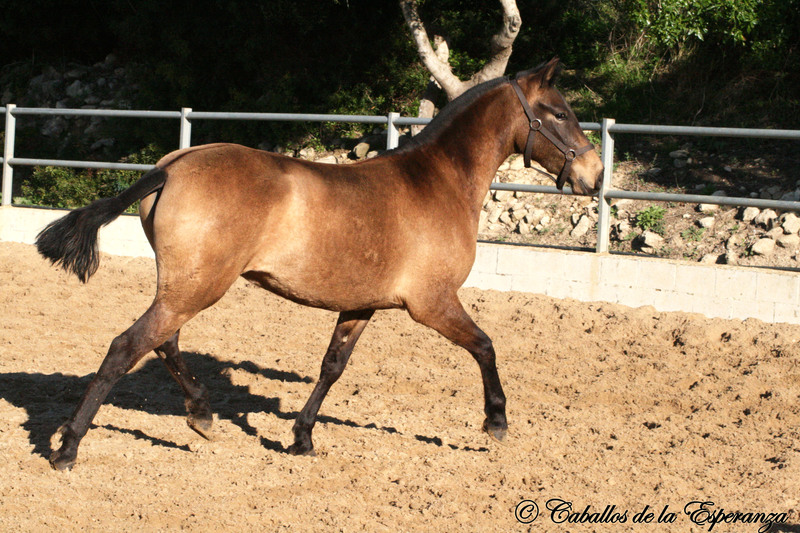 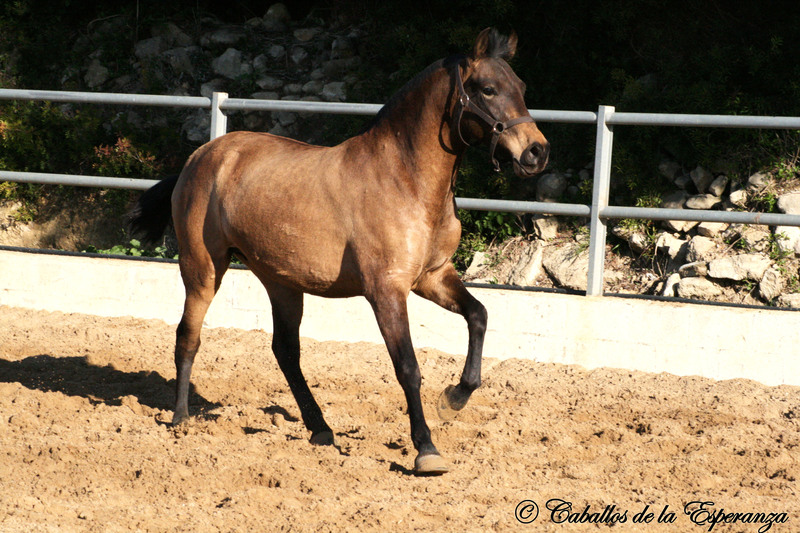 Santana is a pretty, young mare with good movements and a suspended trot. 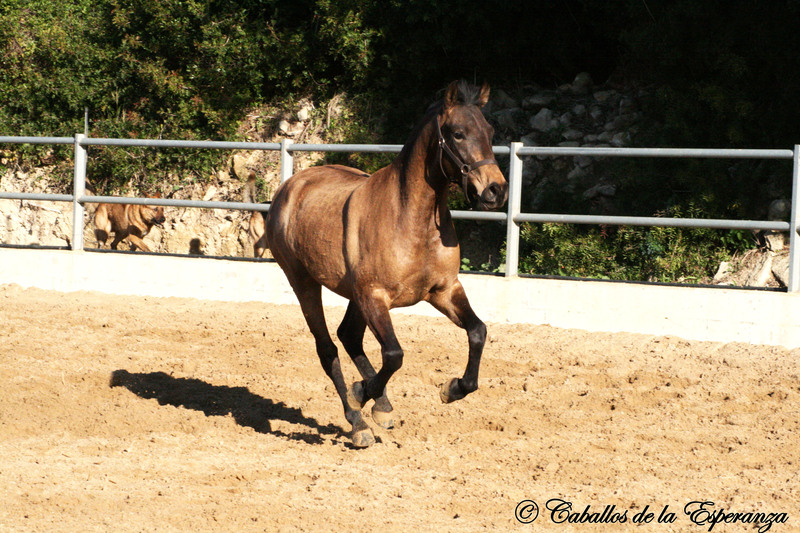 She has been taken into a box just some days ago, has been in the countryside with the herd till now. 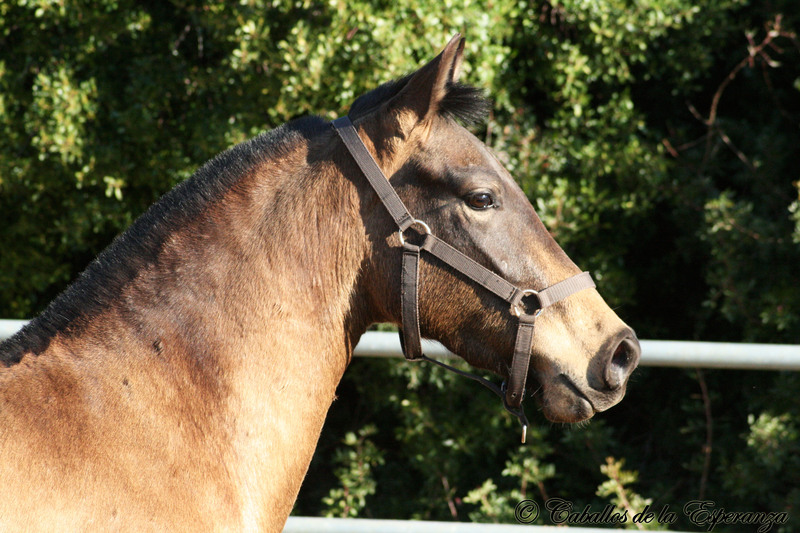 She is already super sweet-natured, likes to smooch and is very relaxed and brave. 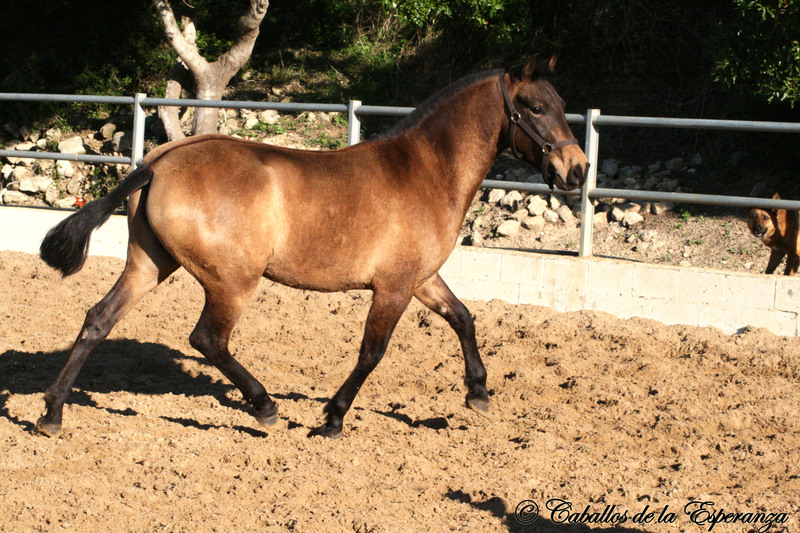 On the pictures she has her winter coat, in the summer the coat is lighter. 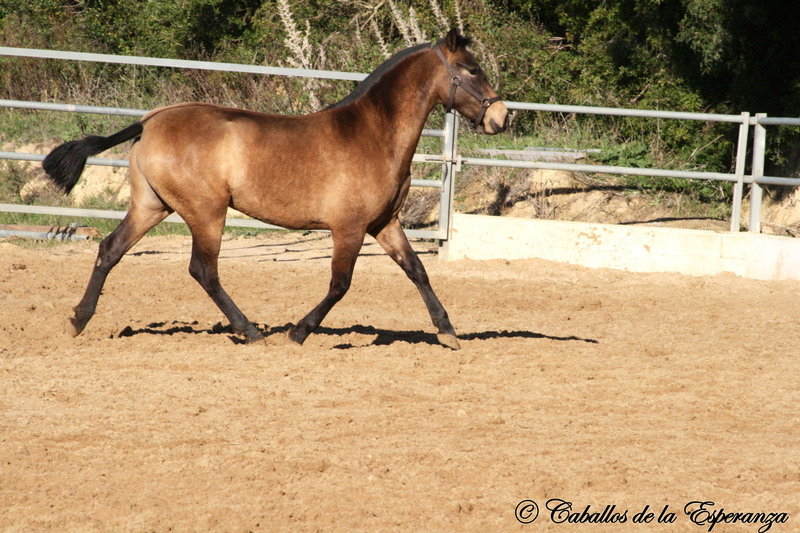 She will be 3 Years in March, so she will still grow a lot. 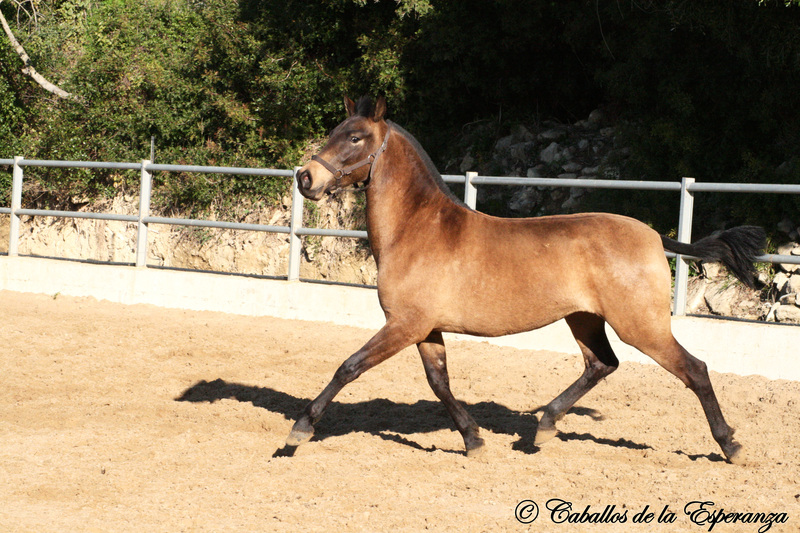 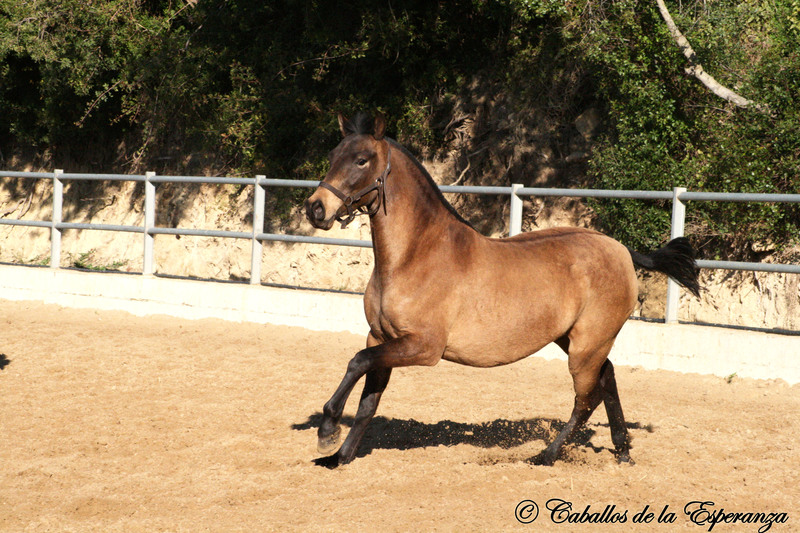 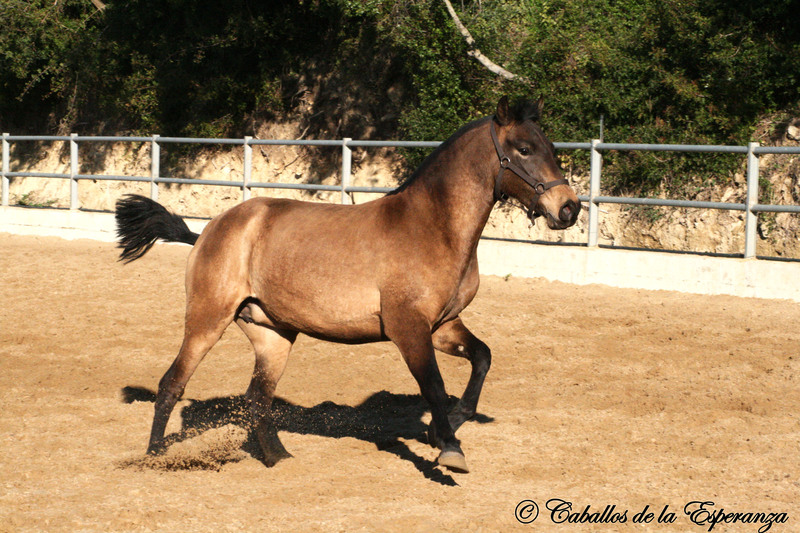 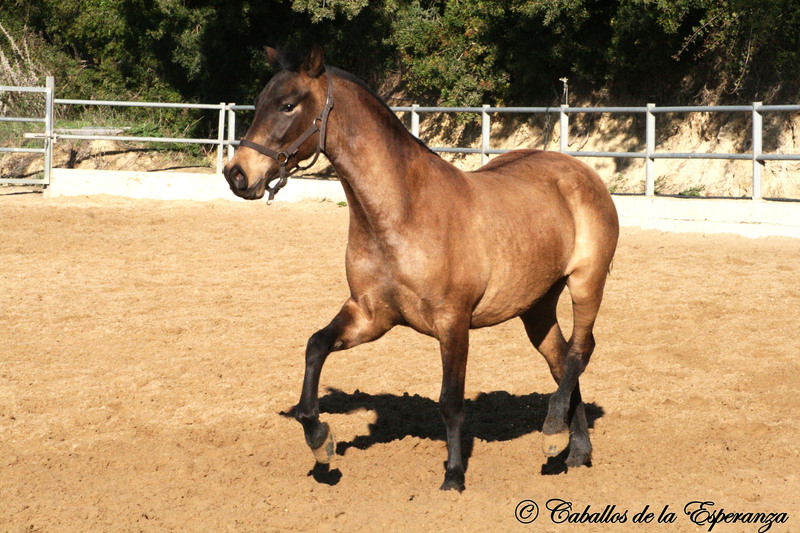 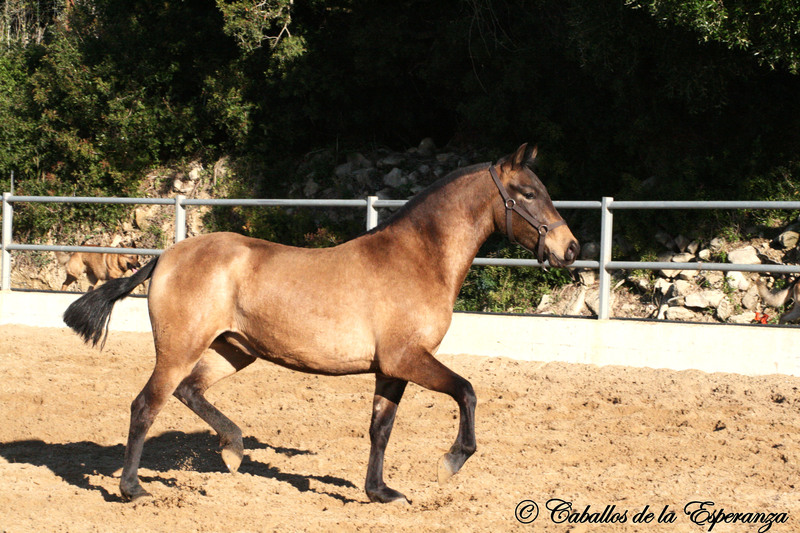 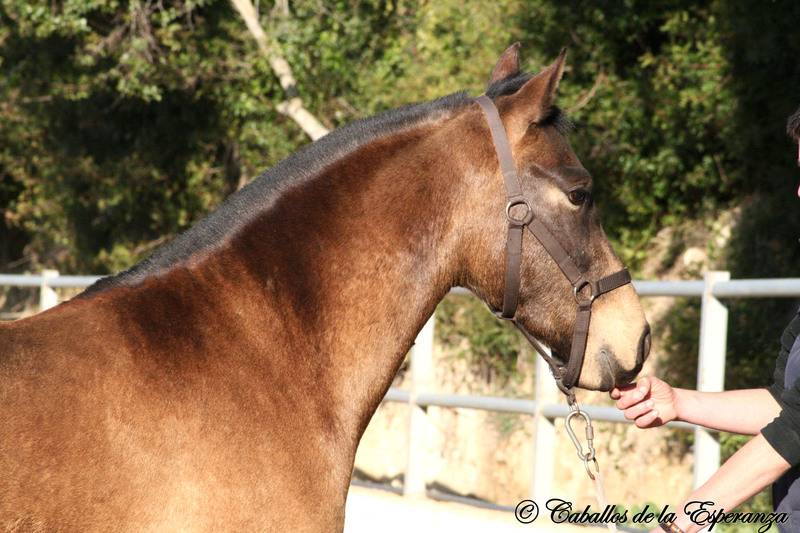 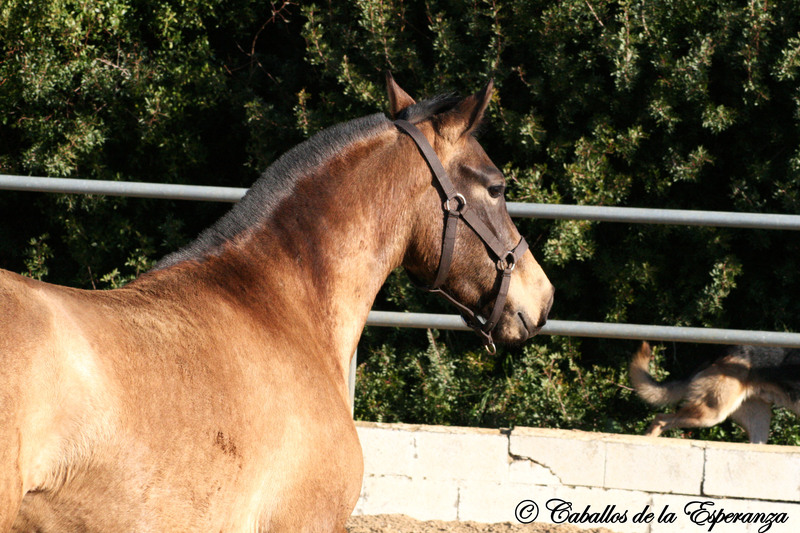 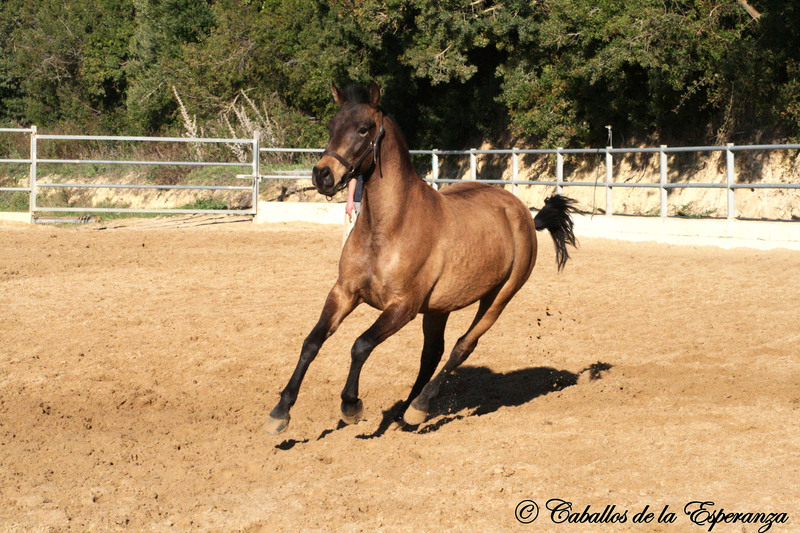 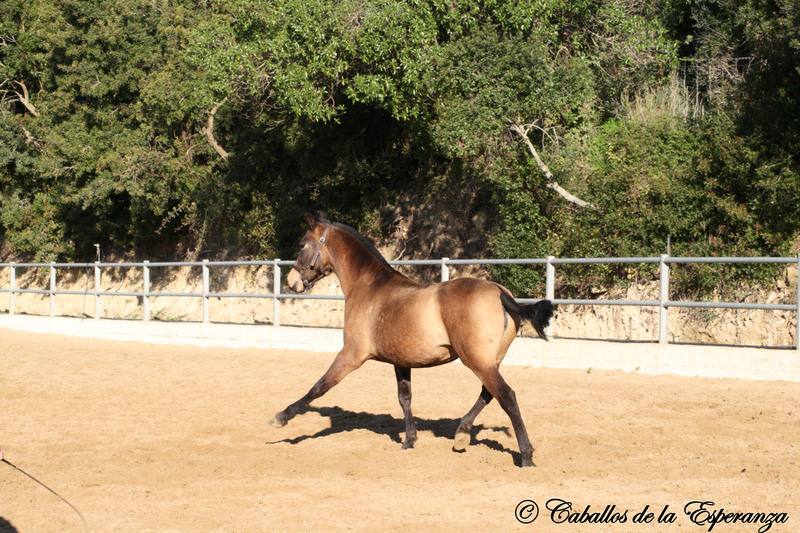 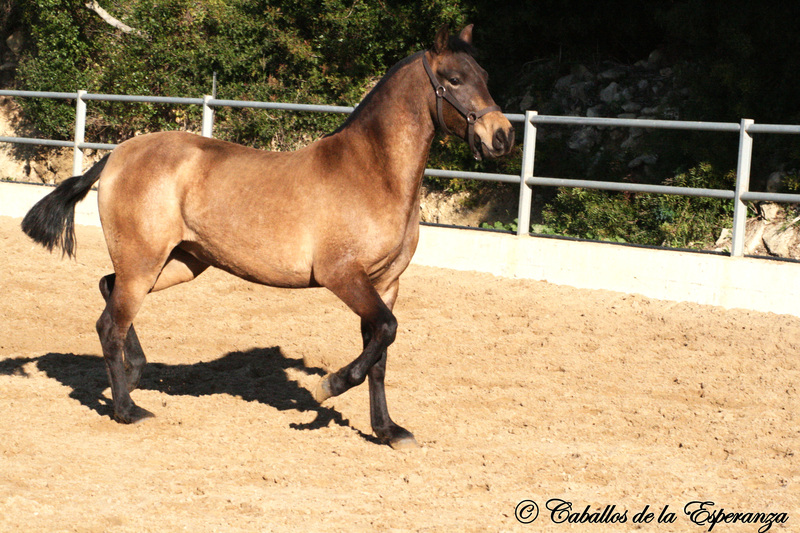 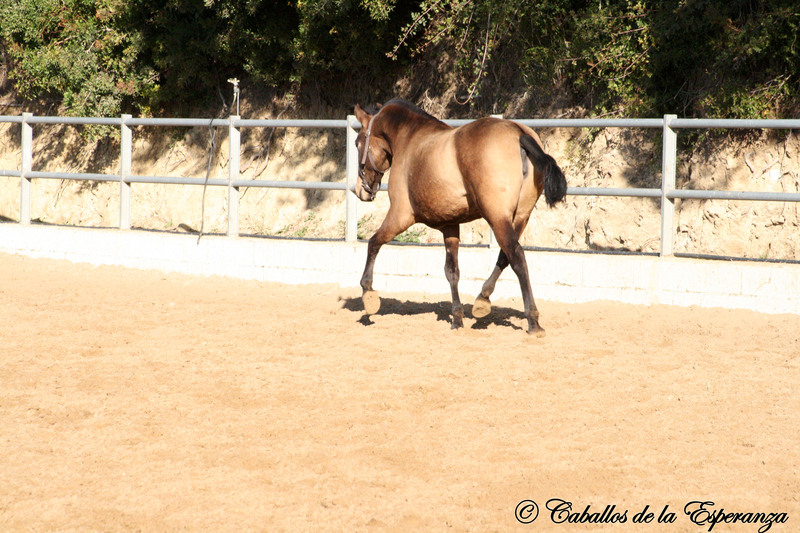 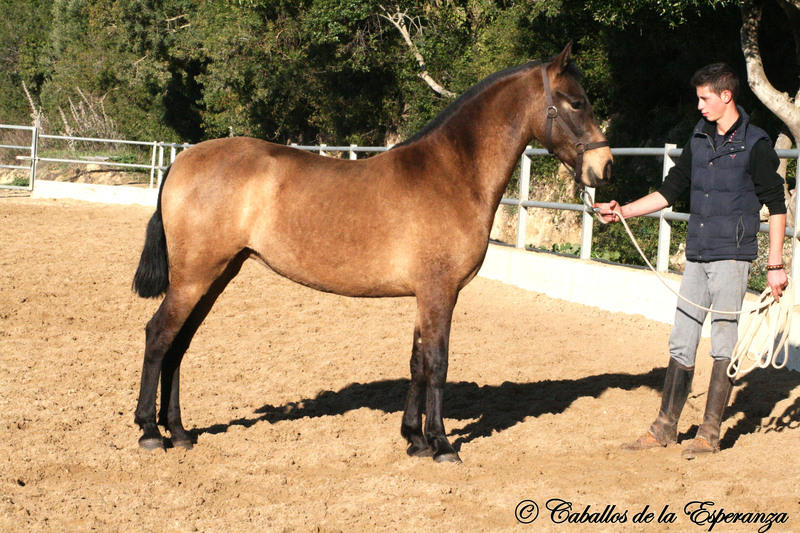 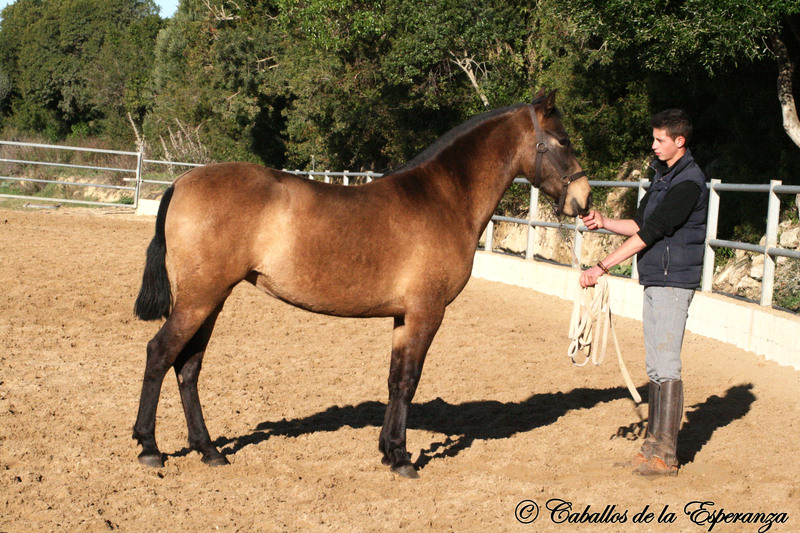 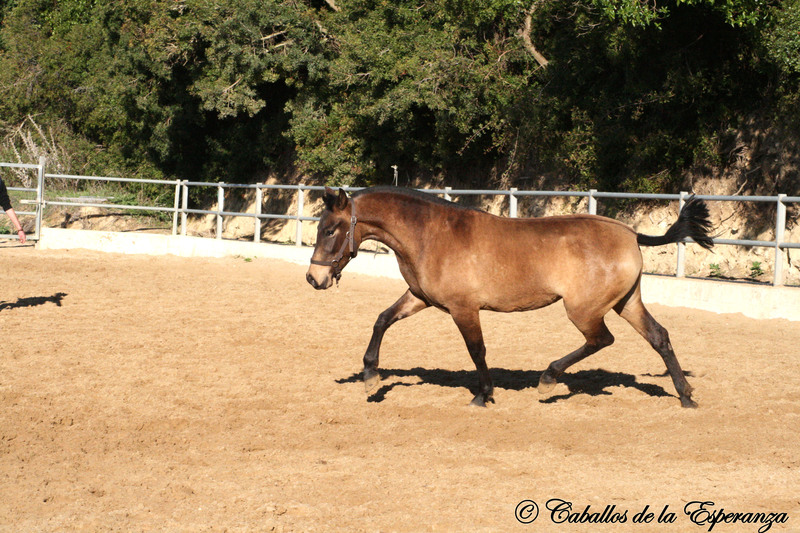 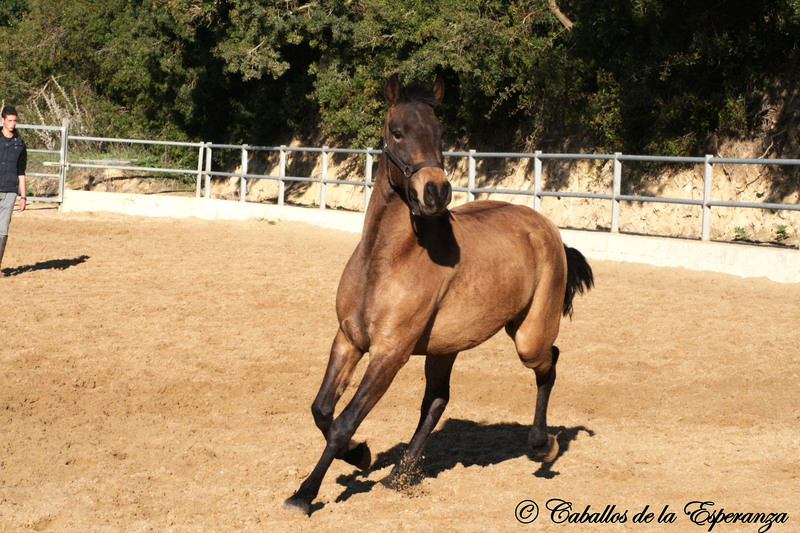 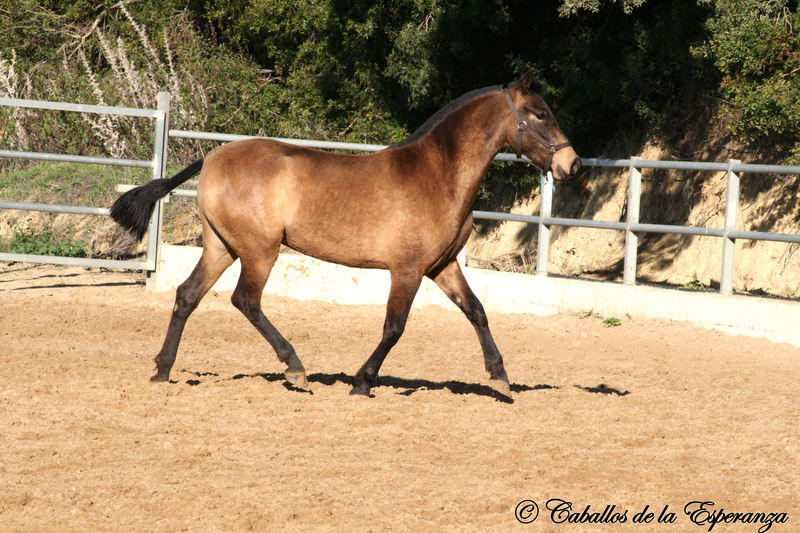 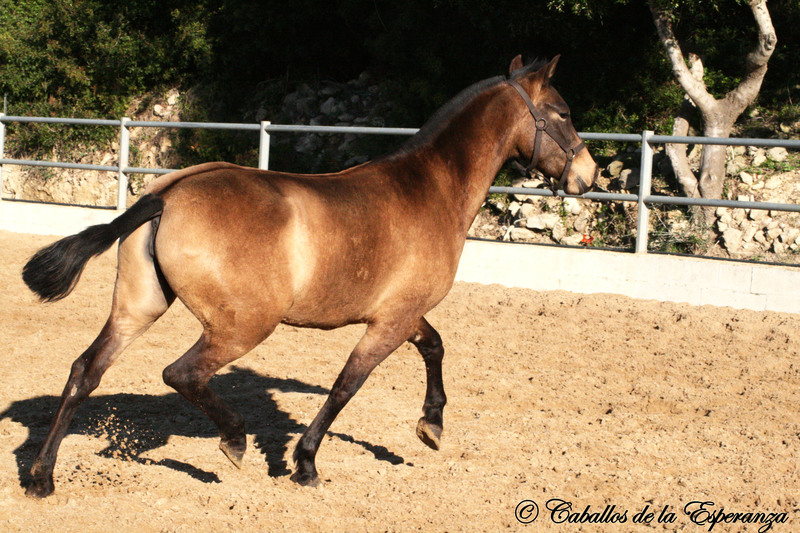 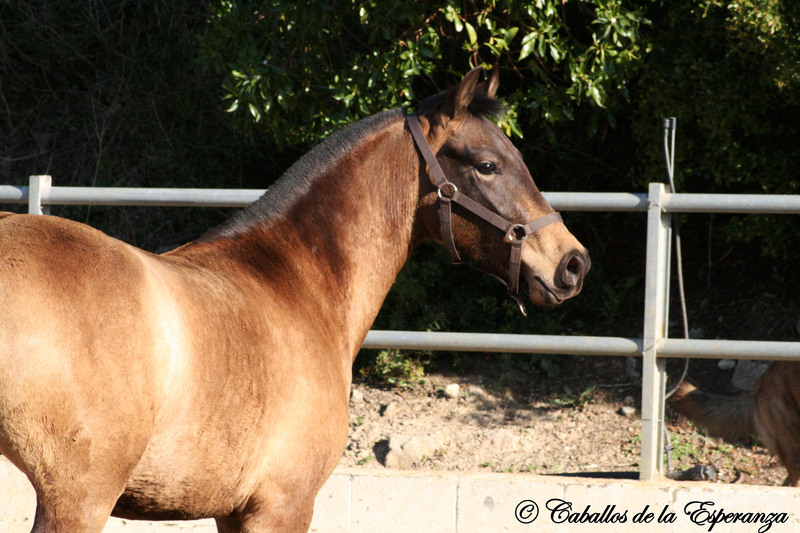 Santanas father is out of the famous colour-focusse breeding stud Javier Larrosa, the mothers pedigree is based on the established bloodlines of the Yeguada Militar. 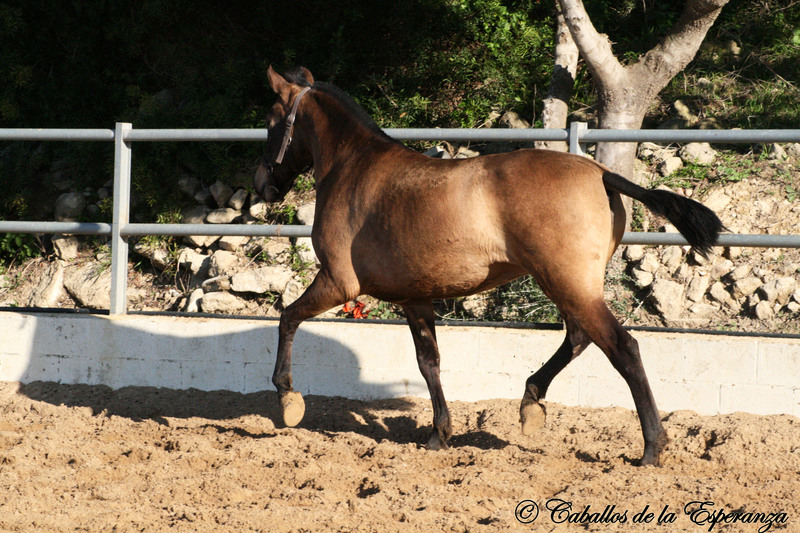 I would be pleased to send you further information over colour-focussed breeding! 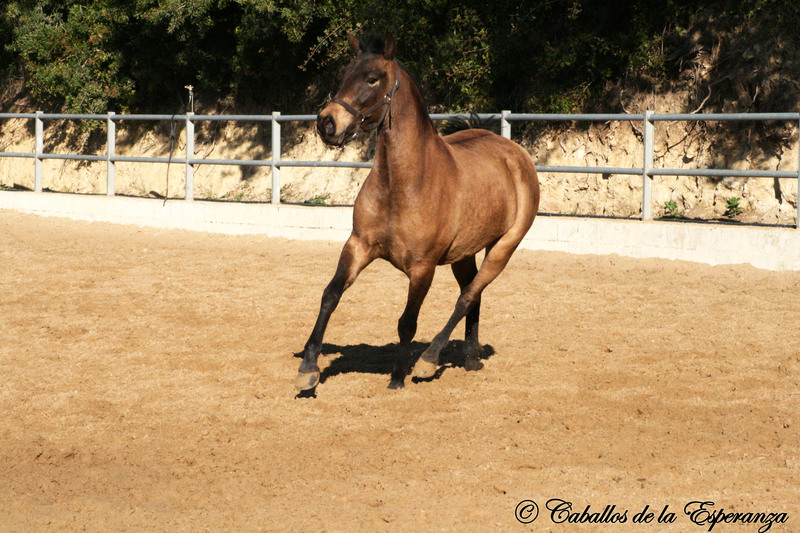 Just contact me! 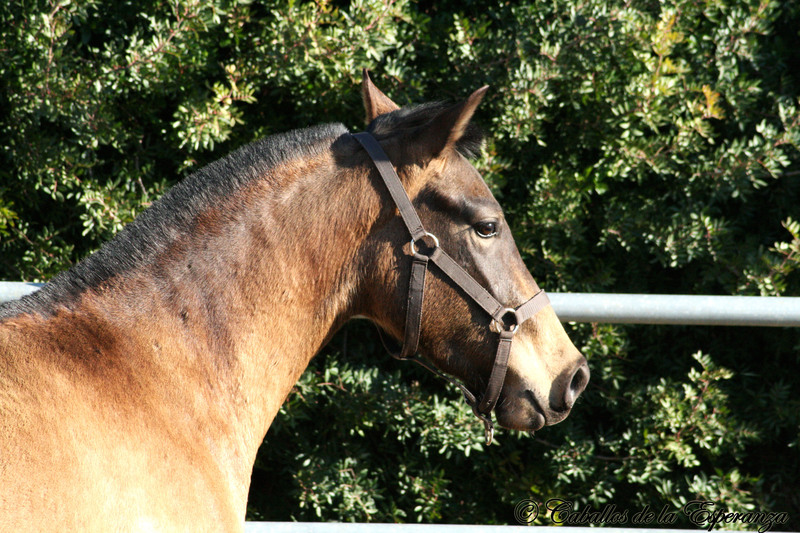 Santana is such a pretty, sweet mare with that special “something”. 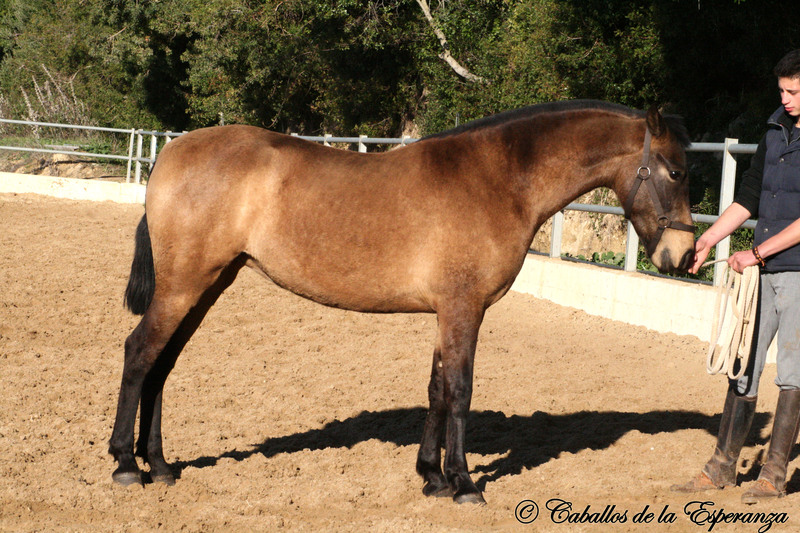 She is really interesting for colour-focussed breeding or for someone, who is just looking for something special.